Our stack of bets that didn't amount to much in the end! A good friend took me and another girlfriend to the races tonight at Happy Valley. 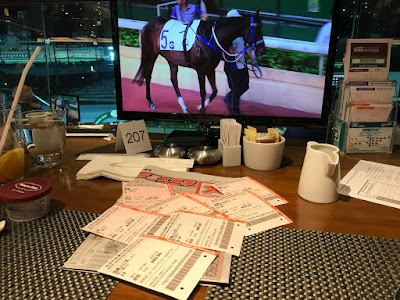 We had a delicious meal of baked cod with Malaysian spices (ie spicy soy sauce), and an appetizer and dessert buffet, but when it came to horse racing we weren't very good punters. I tried to do my homework and study the racing section of the newspaper ahead of time, but only managed to glean some picks from the racing journalists. In the first race I picked two horses to place and they both came in! For a HK$40 bet I made HK$58! After that it was all downhill -- lost the next four races. Thank goodness we left after the fifth one and cut our losses. 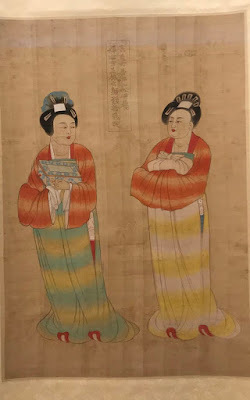 My friends fared worse than me -- they didn't win at all! 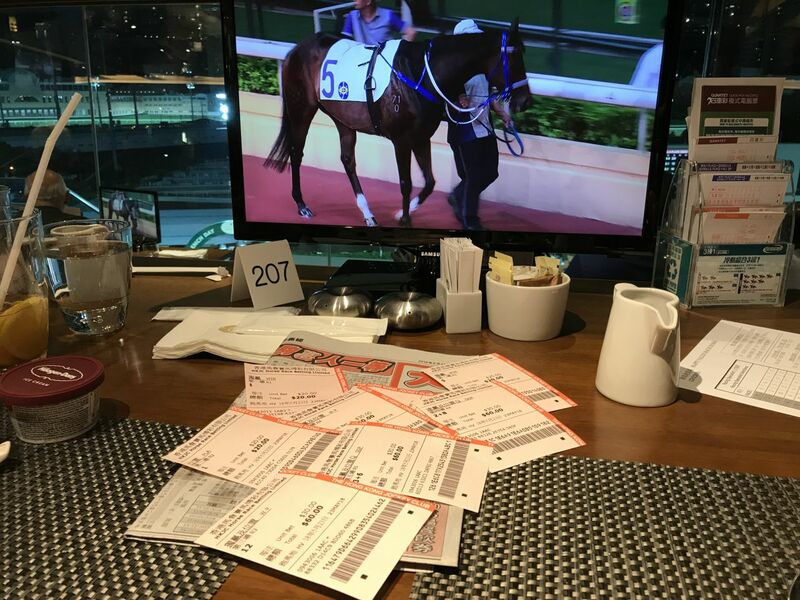 Nevertheless it is fun to sit in the member's area, enjoy some dinner and drinks, catch up and then go place some bets every half hour. In the end we have a pile of HK$10 and HK$20 bets that amounted nothing, but we had a fun evening anyway.